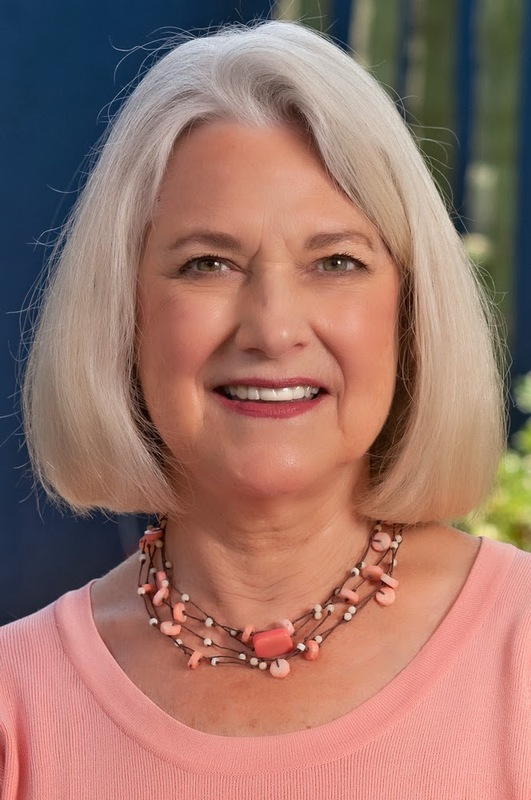 Several months ago, I revived one of my favorite classic self-help books and interviewed its wonderful author, Susan Page. This time, I listened a little better to her advice as I sifted through an assortment of single men, and I’m pleased with how things went. If you haven’t read one of her books, I encourage you to pick one up. I am honored to have one of my favorite authors as this week’s guest. 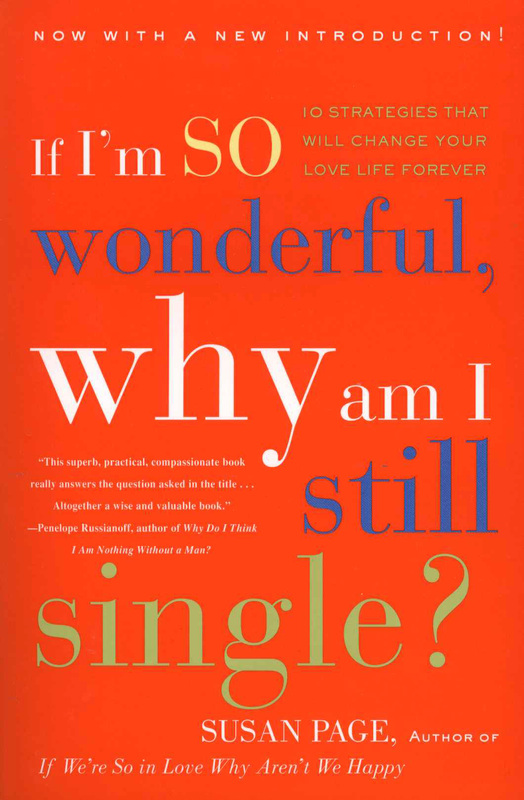 I first read Susan Page’s renowned book If I’m So Wonderful, Why Am I Still Single? when I turned forty, just after a dear family member mentioned that the odds of me finding a life partner was shrinking as fast as the Alaskan glaciers. This bestselling relationship book has been published in 18 languages and has sold more than 158,000 copies in the mass market paperback alone. Though Susan Page has been on Oprah and her book has been excerpted in numerous publications, she responded immediately when I requested an interview. Welcome, Susan Page. Thank you for your time! Q.You were not yet married when you began writing this book, now published for over 25 years. Which strategies did you employ that helped you connect with your future husband, or alternatively, which strategies did you develop from your experience in this successful relationship? Perhaps the most important strategy I used is that I was willing to date people who did not seem to be my type. Mayer (my husband) and I would never have been matched up by a computer, and I would never have chosen his profile from a dating site. I am a Methodist minister, and he is Jewish. I had in mind a highly educated, professional person, maybe a university professor for example. He was a college dropout and an artist. The first time I met him, I was sure this could never work, but in accord with my philosophy, I saw him again. Turns out he was a very successful artist and a clever entrepreneur and a totally wonderful man. We decided to get married on our fourth date. Another important strategy for me was, “No more short-term relationships!” As soon as I realized the person I was with was not “the one,” I stopped seeing the person. I wanted to keep my time and my energy clear. When I met Mayer, I was completely unattached and free to proceed with him. — Relationships that are clearly short term — I call them BTN Relationships: Better Than Nothing — are a drain, not only on your time and your energy, but also on your self esteem. You can’t feel great about yourself when you stay with someone who you know is a compromise for you. It’s often hard to break out of these relationships because they are comfortable and feelings may be hurt. But if you are seeking a life-long partner, it’s important to end your BTN! Q. Your book is timeless in its universal themes, helpful for single women and women who are ambivalent about the future of the relationship they are in. Was it your extensive work with singles that gave you your material? And how much have dating and relationship issues changed since it’s publication in the 80’s? As soon as I was seized with the idea for the book, I began conducting workshops to test my ideas. I ended up conducting these workshops for singles, and later for couples, for twenty-two years before I retired from that aspect of my work. I have trained others to conduct the workshops for couples that I pioneered. The workshops gave me a great deal of material for the book: ideas and anecdotes from people who were actively using the strategies I suggested. Dating issues have not changed in all the years I’ve been working. People still need to explore their hidden ambivalence, to act in more decisive ways, to be more courageous and more open, to move through their fears. Work on all these issues is simultaneous work on hidden problems with self esteem. For anyone seriously struggling with dating, I highly recommend working with a dating coach who knows how to assist you with all of these issues. The consistency and accountability of a dating coach makes an extraordinary difference, to say nothing of the insights such a person can facilitate. I highly recommend the coaches on my website: susanpage.com. Q. What was the most enjoyable part of writing this book? I began writing it because I saw that my attitudes about dating were different from the attitudes of the singles around me. It was thrilling to see others adopt my strategies and philosophies and then succeed. It’s still enjoyable for me to receive e-mails and letters from grateful readers who “got” the insights in my books and changed their lives. Q. Please tell us about the San Miguel International Writer’s Conference? How many people attend on average, and what is the focus of it? 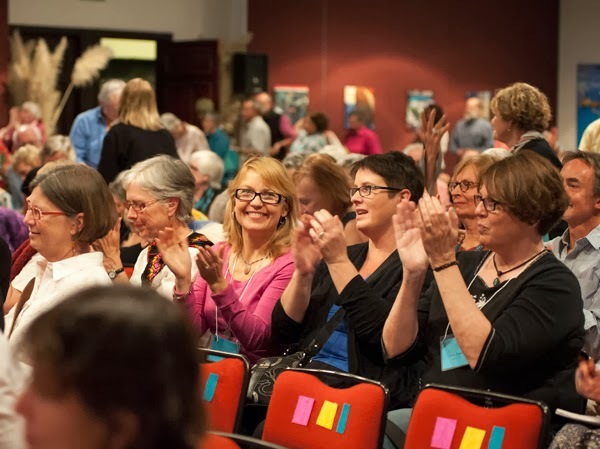 The San Miguel Writers’ Conference and Literary Festival is five days of workshops, keynote addresses, agent pitch sessions, open mic readings, and much more. As a writer, you get to choose eight workshops (our of 56 offered) by world-class writers and teachers. Previous keynote speakers include Margaret Atwood, Barbara Kingsolver, Tom Robbins, Naomi Wolf, and many others. In February 2014, our featured speakers are Pat Conroy (The Great Santini, Prince of Tides); Yann Martel (Life of Pi); Laura Esquivel (Like Water for Chocolate); Benjamin Saenz (PEN/Faulkner Award winner); David Whyte (poet), and others. The parties and receptions we put on are world-class also. Our Mexican Fiesta has become legendary! — As the “Creative Crossroads of the Americas,” we draw faculty and participants from the U.S., Canada, and Mexico. The entire Conference is bilingual. Q. If you had to boil it down, what would be the most important quality a woman to possess before she begins pursuing a relationship? 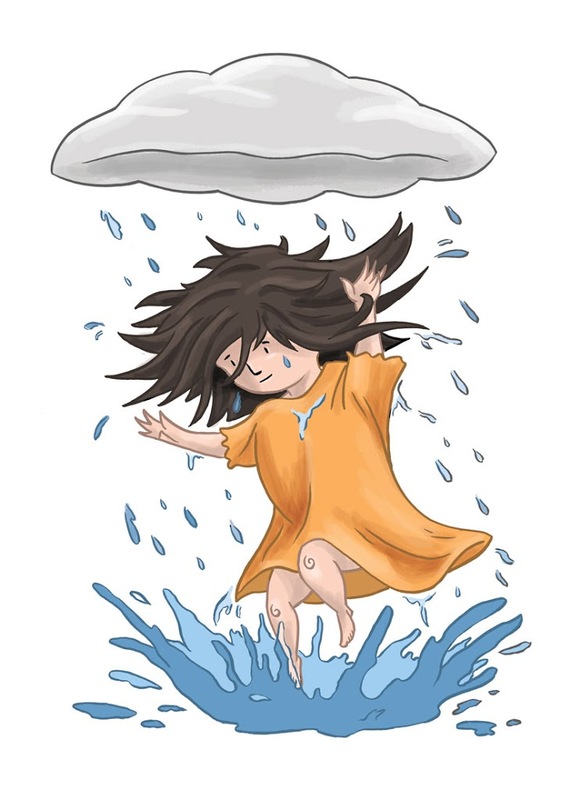 She needs an attitude of openness. I can’t emphasize this enough. Most women are guarded and suspicious of men, making it difficult and scary for a man to approach them. They are quick to be judgmental and to look for reasons to reject a man. An attitude of openness will not get you in trouble. You can still be in control of any situation. Sit in a popular coffee shop from eight to ten one morning. Have a book or newspaper. Sit near the door. For everyone who walks in, look up, give the person a nice welcoming smile, and go back to your book. Pretend you are on the cosmic greeting committee, and your job is to make everyone feel good and welcome. It’s totally non-demanding, just a gift you are giving each person. The point is to see how this makes you feel. Also try it all day at work. Try smiling at 50 people in one day. — It’s not the actual smiling I’m after here. It’s the attitude that goes with it, the feeling that you are open and warm and easy to approach. — And give a man a chance. Give him a second chance. Unless you encounter a real deal breaker on the first date, if he’s interested, go on at least three dates before you decide. 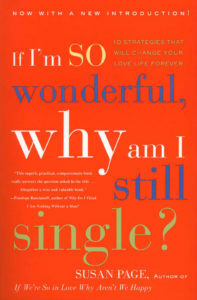 Q. You’ve written several popular books on relationships now including another title I love, Why Talking Is Not Enough. How can interested readers reach you to work more closely with you on their dating and relationship issues? I have discontinued the workshops I conducted for twenty-two years, but I do train others to conduct them. (I am actually looking for a partner who would enjoy training others to conduct these distinctive workshops.) I highly recommend the brilliant dating and relationship coaches on my staff, whom I have trained, and who can also be reached through my website. The San Miguel International Writer’s Conference is on February 12-17 this year! Check out the link. Writer Calvin Trillin is this year’s keynote speaker!